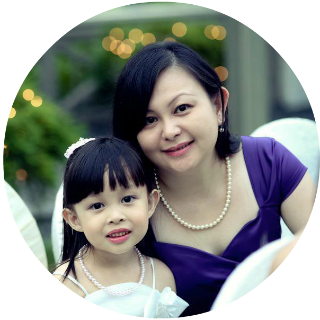 ~Mamamie's Thots~ Singapore Parenting and Lifestyle Blog: Top 20 Questions About Me..Me..Me! Top 20 Questions About Me..Me..Me! 1. If your lover / husband betrayed you, how will you react? I WILL CAST**** HIM...just kidding! Rationally speaking, it has to depends on the situation. If I found out without his knowledge then probably I will be in a state of shock, cry, scream, go crazy, cool down & think what I should do to salvage the marriage. If I caught him red handed, probably I will go over & say "hi" & let him feel remorseful about his action. Then I will tell him to wait for my lawyer's letter :P *evil grin*. Can't reveal too much here lah, otherwise all my relatives who read my blog will know what is my plan already *smile*. 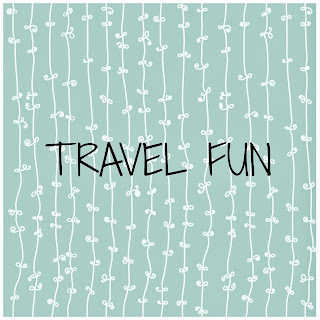 My dream is to strike lottery *day dreaming again* one day, beside that I hope to be able to do what I love in my life & travel around the world with my family. I would put some money aside for education fund, set up my own biz, settle all the loans, buy a small car for mum to drive around in Malaysia, buy an Audi for my hb, buy lots of toys for the kiddos, travel at least twice a year, invest in stocks & properties & do some charity. 5. Would you fall in love with a best friend? I'm not a lesbian so kinda difficult to fall in love with my best friend. 6. Which do you think is more blessed, loving someone or being loved by someone? I think both are equally blessed. 7. How long do you think you can wait for someone you really love? Don't waste my time....harlow! There is definately other trees out there in the amazon rainforest that suit me right? 9. If you were to act with someone, who would it be? 10. Would you invite your ex-bf to your wedding? 12. What's your greatest fear? Seeing my loved ones getting sick & leave me alone in this planet. 13. What kind of person do you think people perceive you to be? This is interesting, usually what people perceive me from my outlook is totally not the same as what I am actually. Friends who dunno me thought I'm kinda quiet, reserved, hao-lian (proud), well behave & hardworking. I'm quite an easy going gal as long as you don't step on my toes or else my horns will appear. I guess only closer friends will know I'm actually quite "gila" (crazy) in person. I hope to be married & rich. I would observe, analyse & see whether if the other person is worth getting all my LOVE. I'm lucky to say I'm not those fickle minded person and I don't like to put myself in such a situation. I believe in fate & if fate wants me to meet whoever that comes into my life first, I will pick him first. 18. Would you forgive and forget no matter how horrible a thing someone has done? I would forgive but not forget but I will try to put that episode into my short term memory. 19. Would you give up everything - including your life - for the one you love? 20. Do you prefer being single or being in a relationship? If I am single, I would prefer to be in a relationship & vice verse, very contradicting right? Well..that is life! And yes - I do agree that if we hadn't gotten to know one another better prior to meeting, perhaps we would think the opposite of who you really are. Same like me! Hahha... I enjoyed reading this. Used to like Leon Lai too!